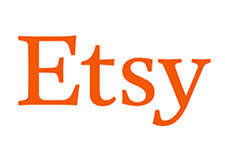 Etsy is launching a new platform for hosting its discussion forums and "Teams." The two biggest points to take note of: the forums will be read-only during a nearly 2-week period this month; and once the new platform is rolled out, posts older than 3 years old will be deleted unless they have had recent comments. In addition, only Etsy Teams with at least one discussion since November 2016 will be available. - Making it easier to interact with enhanced comment functionality that lets sellers @ mention and “like” posts, along with increased character limits and formatting options. - Helping sellers stay in the loop with new notification options, accepted solution functionality, and Etsy announcements section. - Supporting Team Captains and Leaders with a dedicated team leaders resource page and improved tools for communicating with team members. An Etsy seller who wrote about the transition on her blog pointed out that on January 10th, the forums and Teams will be closed to new comments. However, she pointed out that Etsy updated the announcement to inform sellers that Etsy would keep the "Bugs" forum open for both reading and posting new threads and comments. Members will have access to "improved tools and features in the Teams and Forums spaces starting January 22, 2019," according to the Etsy spokesperson. The seller told us there are rumors from beta participants that the space for Teams will not be as "warm and fuzzy" as they are now. Etsy provided a screenshot of the new forum design in its announcement, but it's hard to get a full sense of the look-and-feel of the new interface. The seller also said there are concerns about the impact on Teams, which are a vibrant and helpful resource for Etsy sellers. (Some Teams are public and some are closed groups.) The seller said there were 10,000 Teams. But that number is likely to go down since Etsy is deleting inactive Teams, as noted above. According to her blog post, the new forums and Teams will be powered by Lithium - we've got a question in to Etsy asking them to confirm this and other questions about the new platform. Etsy sellers were also discussing the changes under the announcement post and in this thread, where you can read their concerns. Many sellers reacted positively. Some hoped the changes would include an improved search engine for searching the forums, and one seller wrote, "I hope the format stays the same, like nesting responses under the post that you are commenting on." Numerous sellers said they liked the feature that would allow them to "like" comments, and some liked the ability to "@mention" other members' posts. One seller who serves as a leader on a local team with 1,000 members said she would like to see Etsy offer the ability to see all of a team's listings at once, which would help members with marketing. If you have any favorite and/or helpful threads on the Etsy boards, you might want to copy them to keep for your records. Etsy advised, "If you have older Forums threads saved, you'll want to jot down any pertinent tips or resources prior to the read-only period." Sadly, that likely means that many posts written by Etsy founder Rob Kalin will disappear forever along with other threads that provide insight into Etsy's development. New Forums = More Control Over Dissenters. How do they have time to yap on a "forum"? I'm busy making my invention for My Customers and Clients. And I don't like distractions. Keep all the nudgey "Etsy Says " junk out of my shop. Etsy needs to put the emphasis on ARTISTS making items for people in 3 - 4 weeks. That would flush out the stupid Walmart buyers and bring in more respectable recipients of our creations. I might have to have the wife give Etsy a try. eBay (Lithium) threw me out of the "loop" last year and I can't get back in. . . .
That’s a huge change. And they are taking 12 days to get it set up.... I sure hope it’s an improvement but I am not holding my breath. Etsy’s Community has always set it apart. I would hate to see it go by the wayside. Etsy moderation has always had oversight over the forums - they enforce a few sensible rules (no calling out, no shaming) and that's about it. I don't look for that to change. Anyone who wants to archive the beginnings of Etsy's development in forum postings needs to start doing it - there are so many zombie threads that get resurrected that it's really ridiculous. I've seen stuff from 2008 dragged up again. The forum needs a cleaning out or at least an archive feature. Lithium's forum software is an embarrassment. AOL forums back in 1996 had more features and usability. Sasikat is absolutely right about stifling dissent. Etsy has been censoring Thought Crime on the forums for years. It's all political. Etsy Powers that Be are NY Liberals. No other viewpoint is tolerated. To that point- what is going to happen to the PERMA MUTED SELLERS? Will we continue to see "you are not allowed to participate in that discussion" over EVERY forum post including BUGS?? Does it ever occur to these jerks that maybe the people that have been forever silenced might have a technical question that they can't find in the useless Help section? Just more busy work for their tech people between free lunch and snacks. Don't get me started on how good Etsy's changes are. There has never been a change that wasn't filled with bugs and I assure you this will be no different. I do know that Etsy will now have more power of what is said and who can say it. Garcia- you just NAILED it. I am so sick and tired of the endless changes that they claim are for "our" benefit. How about they fix the search engine? Remember, the same guy that destroyed eBay is now running Etsy. When did eBay go on Lithium again? Oh yeah, that's right. The new forums are horrid. I know it takes time, but it spent 2 hours trying to figure this new forum set up. IKES ! Seller since 2006. I’m not really getting any good vibes so far. I’m basically lost. They dismantled the “community” forums. No longer vibrant discussion. No longer useful or easy. No longer a solid community. It’s fragmented and detached. I sure do miss Rob Kalin.